* Total number of reviews and star-ratings are based on data collected during the time period Efficient Systems, Inc.- Indianapolis has been using the ReviewBuzz system and may not directly match the data found on each public review site. Adam came today and installed 2 new light fixtures. The cost was quite reasonable. I usually change my own light fixtures but we had a super old fixture with a pull chain over our bathroom vanity. Adam said it would be about $300 to get in the attic and run a wire for a new switch. I asked if he could just make the new light a pull chain instead and he was willing. He did a great job and did not harm the new fixture in any way. I couldn't be happier! Sean evaluated an electrical problem for me and offered a solution. He really knew what he was doing and was efficient and friendly. Ryan did an amazing job for our plumbing needs and he finished so quickly! I see why the company has efficient in its name. He also worked with me when I had the wrong part. 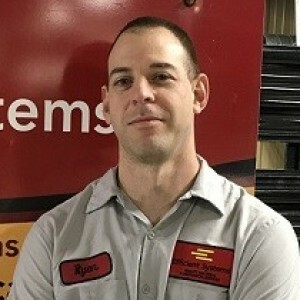 I highly recommend the company and Ryan! 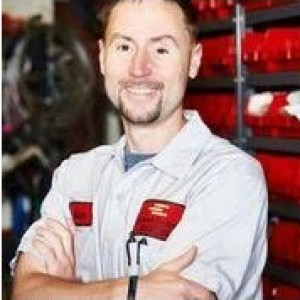 Adam was on time, and fully equipped with professional knowledge of electrical, plumbing, AND HVAC. I didn’t have to call for three people! I signed up for maintenance annually on HVAC and know I’ll be in good care of smart, hard working, and honest people, which is very rare and valuable. Also, kind and sincerely helpful. My dog rarely takes right away to new people in the house and right away he knew Adam was a good person. Highly recommended. Very quick response--less than 24 hours from first phone call to setting up installation of new home air conditioner. They all did a great job. John (sales), Adam and Brian (HVAC replacement), and Mitchell (water softener install) were courteous and professional, and so far everything is working well. Had a great experience with Ryan as he provided several estimates for work around my home. He was very helpful, noledgeable, and easy to work with. Adam was amazing and explained what was going in with my issue in detail. He resolved teh issue in a timely manner and was very courteous and respectful. He provide us with solutions that could halp us in teh future if needed. This was a very good visit by Efficient Systems, Adam, he gave us a quote to buy and replace our Smoke Detectors. Much thanks. I love this company. They were very prompt, professional and did not tell me I needed repairs that I did not need. I would recommend them to anyone needing HVAC repairs. I would give them 10 stars if I could. Prompt service and friendly demeanor. We called Efficient Systems because of a previous good experience with them, and we were not disappointed! Adam came for an after-hours service call and got right to it working on our furnace. Though the news he had to give us about what was needed wasn't good, he explained our options and possible outcomes, and did not put any pressure on us to make a certain decision. He was professional and courteous. UPDATE: We did end up having to replace our furnace. This job was again done by Adam, and he did everything well and in a timely way. Efficient Systems has been servicing my furnaces and A/C units for a few years now. They even installed a new gas furnace for me a little more than a year ago. Every employee that I've dealt with from ES has been professional, sincere, and expressed a level of integrity that I find astounding in today's "sell it hard" approach that you get from other companies. I've never felt that they were trying to push bogus services or products onto me that I didn't need. And I really appreciate having a service company I can call on that I know will get it done and in a timely manner. Customer service is always a top priority at Efficient Systems, Inc.- Indianapolis. Our BBB Membership rating is like a badge of honor as we continuously strive to provide the best experience for our clients.